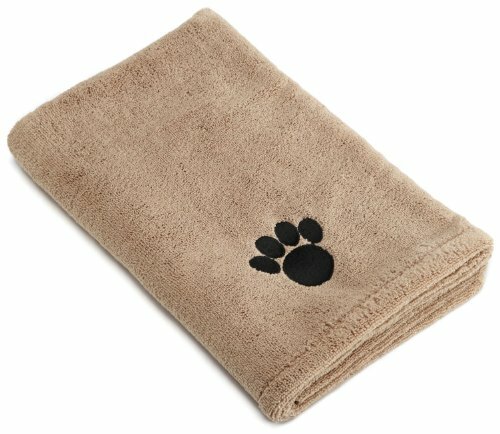 Sofantex Microfiber Dog Bath Towel with Embroidered Paw Print. Durable, absorbent, and fast drying. Large size 44-Inch by 27-1/2-Inch. Machine washable.